I know I keep on doing it and keep on telling you about it, and yet I can't find a way to stop stashing my cupboards with all sort of groceries! But I'm ever decided to start using them, because I hate wastage!! 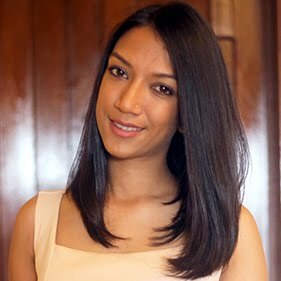 So, I had a can of evaporated milk which would be reaching expiry date soon, and ah I shouldn't be forgetting to mention that a good friend, Priya, gave me some mangoes (which initially weren't mine!) that were smelling awesomely sweet! So yes, that is how came the idea of making the Mango Sago Pudding! 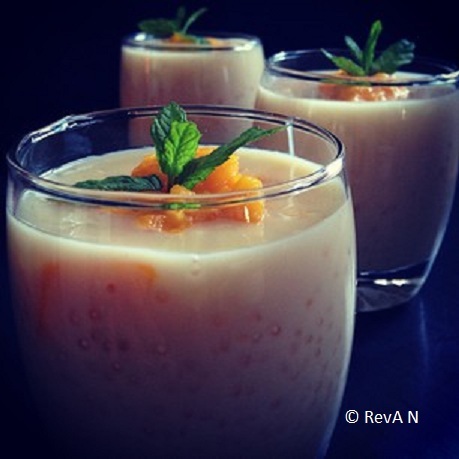 Delicious, sweet, creamy, slightly tangy Mango Sago Pudding! 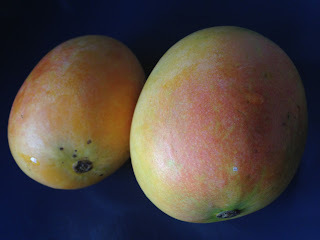 For some reason the mangoes are appearing greenish, but they were yellow like yellow! Should be my iphone or the afternoon weather behind it! 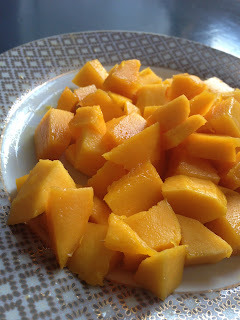 Oh, I'm using 2 mangoes because I love mangoes, but for the recipe 1 mango will greatly suffice. Begin by simmering the coconut milk, evaporated milk, sugar and water in a saucepan until the sugar dissolves. Then, add the tapioca pearls and let cook until translucent. Remove the sago from heat and allow to cool for 5 minutes. This will thicken the 'sauce'. Or if you prefer, you could serve right away. 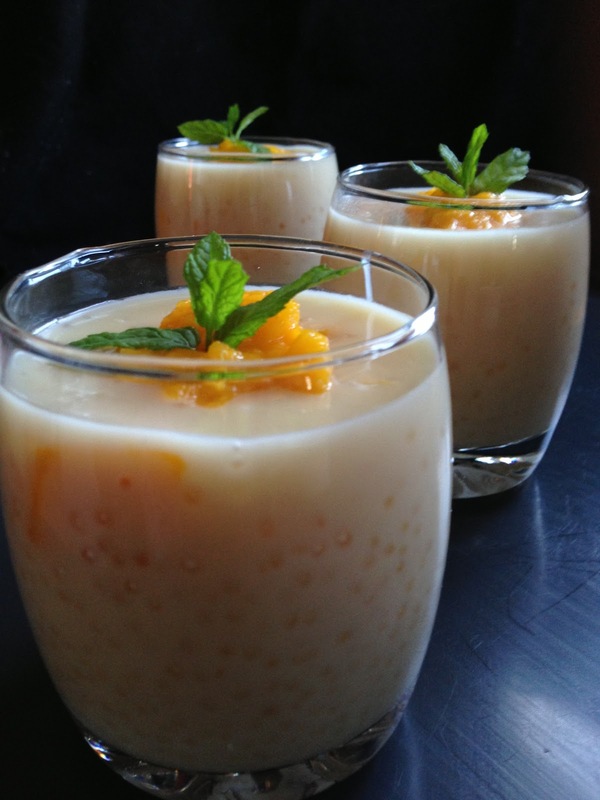 Fill the ramekins/tumblers halfway with the sago pudding. Then add a few diced mangoes. Add more pudding until 3/4 way up to the ramekins/tumblers. 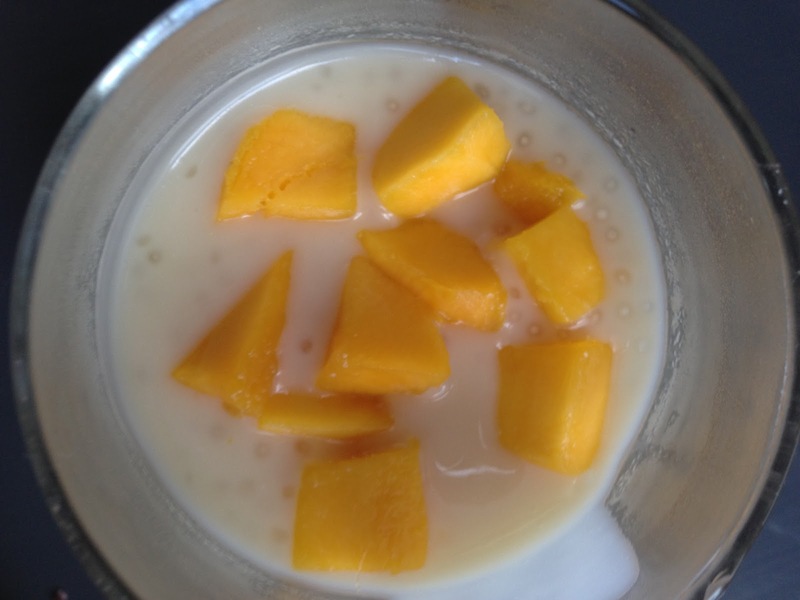 Finally top with the puréed mango! 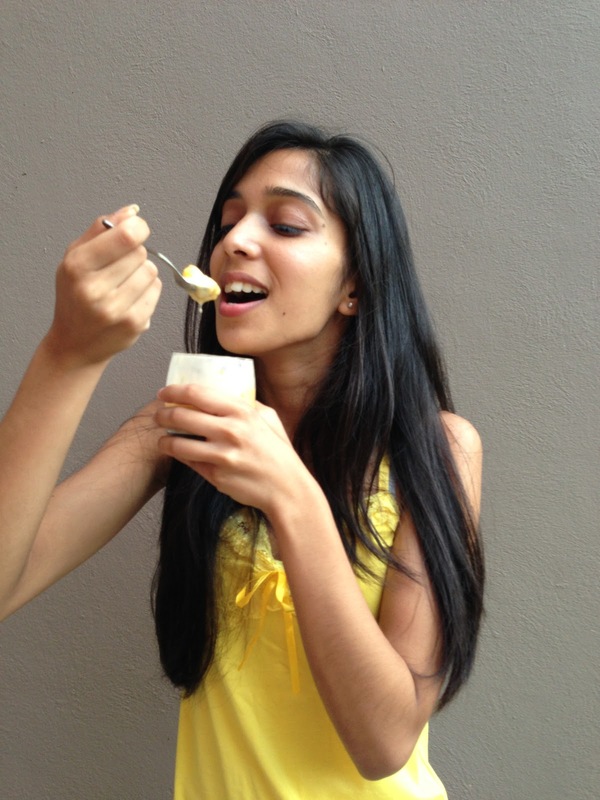 That' my sister, devouring the Mango Sago Pudding! !